5/6/2016:A message to Farm Bureau Federation and Indiana Farm Bereau. Read it HERE. 2/20/2015: AgriNovus Adds to Steering Committee: Indiana's food and agriculture innovation initiative AgriNovus has named Kip Tom to its executive steering committee. Read the full story here. 12/2/2014:New York Times - A Low-Cost Alternative to Pricy Big Data on the Farm. Read it HERE. 12/1/2014: New York Times - Working the Land and the Data. Read it HERE. 7/6/2014: Good luck to all the 4-H'ers out there and the Thank You to all the 4-H Parents helping to raise some of America's best youth. 6/16/2014: The Tom Farms store a a few new additions. You can check it out here. 3/14/2014: Making Sense of all that Farm Data. Indiana Livestock and Grain Forum: Panel Forum with Kip Tom. Read the article HERE. 3/11/2014: Irrigation Technician & Farm Equipment Operator Position Availalable. One of the leaders in the agriculture industry continues to expand and grow so they have a need for an additional center pivot irrigation technician to join their team. 3/6/2014: On Tuesday and Wednesday Kip as a 4-H trustee visited the tusconvillagefarm.org in Tucson, AZ with other trustees, Jennifer Serangelo the 4-H CEO and corporate sponsors. What he saw was a vibrant agricultural system of a garden operated by 4-Hers in downtown Tucson across the street from a Trader Joes and on the edge of the University of Arizona. The garden serves as a place of engagement for rural and urban 4-H Youth dedicated to focusing on understanding where our food comes from, and improved nutrition through the consumption of more fresh fruits and vegetables. The project takes significant commitment of passionate staff and leadership to be successful. Visit the web site to learn more and as well read the mission statement on each plank on the sign. 2/29/2014: Class II - Modern Agriculture was held yesterday by Tom Farms University. We would like thank those of you that attended as well as our wonderful presenters, Aaron Gault of Advanced Agrilytics and Kip Tom which made the class quite fun and gave us more knowledge about modern ag. 2/3/2014: The new Tom Farms Apparel website is up! Do to popular demand, our TF clothing is currently for sale and will be updated regularly with new styles and choices. Be sure to check it out here. 12/4/2013: We have just launched our newly designed website. We hope that you enjoy the new layout and design! 11/13/2013: Google GLASS has arrived on the farm! Our good friend Bruce Rasa introduced us to GLASS just a few months ago when he was part of the GLASS Explorers program. Each Explorer was just recently allowed the give out three invitations to purchase GLASS and Tom Farms was one of the lucky ones. Please stayed tuned in to TomFarms.com, Twitter and Facebook to see how we use GLASS on the farm! 10/14/2013: The 2013 Seed Corn Harvest has been completed! Although a lot of seed corn farmers have wrapped up their harvest, there are still pleanty of others continuing Commercial Corn and Soybean Harvest. Please be careful on our Hoosier roadways. 9/28/2013: Our own Ernie Burbrink and Kyle Tom had the opportunity to give Max Armstrong a harvest report on Farm Progress America. You can see the interview here. 9/3/2013: The 2013 Seed Corn Harvest has begun! Be careful as Semi-Trucks, Tractors and Combines are more abundent on our Hoosier Roadways. The Northern Indiana Public Service Company (NIPSCO) has finalized and made public the route for a new high voltage line from Reynolds to Topeka in northern Indiana. Indiana Farm Bureau will host two meetings for landowners and tenants whose property will be impacted to discuss their rights and considerations for negotiating easements with NIPSCO. The meetings are specifically for those who have been notified that the transmission line is going through property they own or rent. Information on the final route can be found at http://www.reynoldstopeka.com/Map.htm. 8/10/2013: Irrigation Motors & Irrigation Pumps for sale! 7/24/2013: Are you a concerned farmer, property owner or community member that would be strongly or negatively affected by the proposed Reynolds-Topeka Electric Transmission Line? Please be sure to voice your concern. Information and Form Letter are located HERE. 7/19/2013: Google GLASS on the farm! A few of the team members at Tom Farms had the opportunity to try out Google GLASS and give a farmers perspective on how it could be used in Agriculture to help be more efficient, precise and help with the flow of data to all of those involved. We can definetly see the future of Agriculture in GLASS. 7/18/2013: Want to see how DEKALB is maximizing the yield potential in every seed through their global breeding innovations. Watch the video HERE. 7/8/2013: We are hiring! Are you a qualified applicator or interested in pursuing a career in agicultural application? Look here for more info. 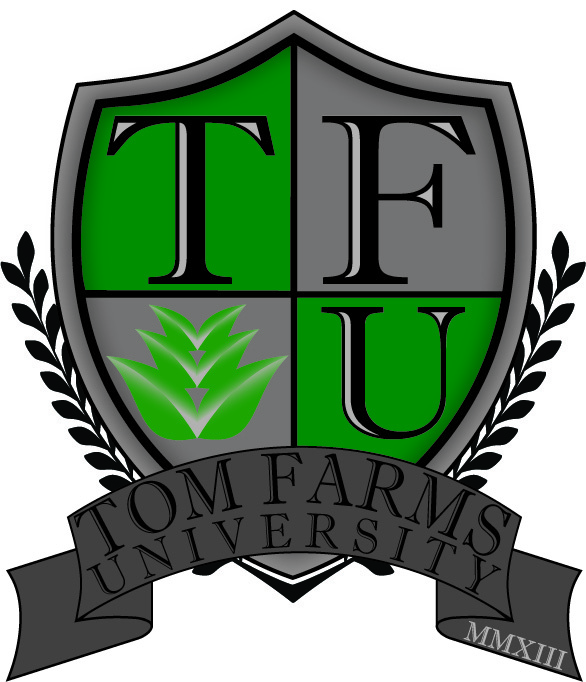 6/26/2013: Tom Farms University kicked off with Class One yesterday with Mike Boehlje of Purdue University presenting on the "Landscape of Ag". Thank you Mike and all of our landowners and friends who attended. We look forward to continuing to bring new professors and topics to our upcoming classes. 5/28/2013: Our own Melissa Gerber was interviewed by DTN on Health Reform. You can read the story here. 5/24/2013: Nitrogen sidedressing has begun! Side-dressing is one of the most economical and environmental ways of applying nitrogen. To be effective, nitrogen (N) fluids must be applied in the right amount, at the right time and at the right location for the corn plant. It is vital that crops get the most out of the N applied if yields are to be maximized. 5/13/2013: Tom Farms is now hiring. We are looking for a qualified Applicator. Read here for more information. 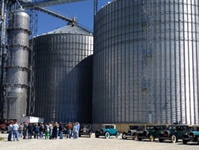 5/13/2013: We had quite an experience today with the arrival of a 1920's Chevrolet CarClub stopping by our grain facility for a quick tour. Among the group, 12 different states were represented, Washington being the furtherst away. Thanks again for stopping by and we hope you enjoy the rest of your journey! 5/10/2013: Today the news from the USDA announcing the Intent to Prepare Environmental Impact Statements for Genetically Engineered Plants Under Review for Deregulation comes as a disappointment to many of us producers across the US. See following link: www.aphis.usda.gov/newsroom Our disappointment is that we as crop producers have to bear the consequences of weed resistance that is rapidly expanding across much of the main crop producing regions of the US resulting in loss of yields and the increase in acres subject to resistant weeds. The disappointment is that there are solutions that will help stop the issue in its tracks that has been developed from Industry leaders such as DOW and Monsanto. This solution uses crop protection products (2,4-D and Dicamba)that have been used by farmers since the 1960�s with minimal weed resistance occurring. These crop protection products coupled with seed traits that have been proven to be safe are our only currently available tool to stop the yield robbing impact of weed resistance. Further delay by the USDA and EPA will only harm our ability to do our part helping to feed a growing world safely and affordably. The Agriculture Industry from the many scientist involved in the development of this technology to the farmer who will use it have already spent significant resources in terms of time and capital to helping all of the stakeholders from USDA to consumers understand the safety and efficacy of the technology. So I and many fellow producers are disappointed today by the action of the USDA to further delay the access of a much needed tool to support our issue with resistant weeds. 5/8/2013: Thank You Madison School Kindergartners! All of you were great on your farm tour today and we hope that you enjoyed it! 5/7/2013: Changing Perspective - Check out this blog by our own Megan Pickslay. Megan works in the front office as an Administrative Assistant. Being "new" to agriculture, you can see another side of agriculture through the eyes and words of Megan. 5/6/2013: Kassi and the Tom Farms Team have been doing a great job at keeping everyone updated with pictures and updates on the Tom Farms Facebook page. You can check it out here. 5/1/2013: New planting pictures have been uploaded to our gallery located here. Check back often for new pictures and updates as we progress through the season! 4/30/2013: With the wet spring we have been having, area farmers have not been able to get in to the fields until recently and only on a few fields. We are hoping that Mother Nature cooperates and allows us and America's Farmers do what we love, plant the seeds that grow the grain to help feed our wonderful country. Here's to a safe and productive planting season. 4/28/2013: Did you ever want to know how to grow an acre of corn? In 1923 the United States Department of Agriculture release a bulletin to show you how. Check it out here. Thanks for finding this Kip. 4/9/2013: With the weather suitable for spring planting, please remember roadway safety. You can hear a safety message from our own Blaine and Ernie playing on Willie 103.5 and here. 3/18/2013: The Paper: A day in the life of Everrett Tom. Read page 30 Here. 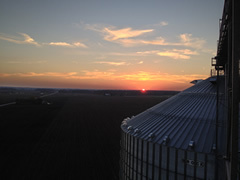 3/1/2013: The WSBT weather team was out at the farm ealier this week! If you missed the clip on the tv, you can watch it here. 2/8/2013: Heritage Hoosiers Voting is now LIVE! Go to the Tom Farms Facebook page to view each participant and vote for the one you believe should be the next Heritage Hoosier! 1/13/2013: Furthering Education - Melissa Gerber and Kassi Rowland complete Unit II The Executive Program for Agricultre Producers (TEPAP) Program. 1/4/2013: Tom Farms is proud to present the Heritage Hoosiers Program, showcasing some of Kosciusko County's brightest young adults focused on the future of Agriculture. Please follow us and Willie 103.5 to learn about the participants and remember to vote for your favorite on the Tom Farms Facebook page. You can learn about each participant here. 11/9/2012: Today, the Tom Farms team said goodbye to Ryan and Taylor, this year's interns. Thank you for all of the hard work and dedication you showed us. 11/8/2012: Kosciusko Economic Development Corporation honors local innovators and entrepeneurs. Congragulations to Rinker Boats, Paragon Medical, Da-Lite Screens, Medtronic, Penquin Point and Tom Farms. Read more here. Tom Farms 2012 Fall Newsletter has arrived! Read it here. 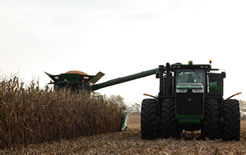 9/29/2012: With the conclusion of Seed Corn Harvest and a dry forecast, the Tom Farms Team is running full speed ahead with Soybean and Commercial Corn Harvest. Remember roadway safety as there will be extra trucks and equipment on the roads. 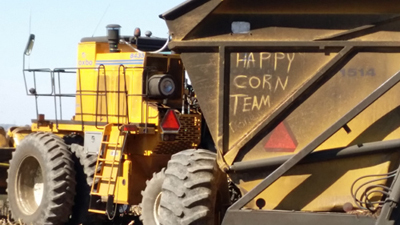 9/24/2012: Tom Farms would like to thank all of those supporting the Seed Corn Harvest, including the Picker Operators, Dump Cart Operators, Truck Drivers and all of the Support Staff at Monsanto's Remington Plant. 9/10/2012: Catching Up With BASF featuring Kip Tom. 9/7/2012: The Enduring Legacy: Essential Family Business Values. Succession planning in family businesses often deals exclusively with the passing of financial assets and management skills to the next generation. In this book, however, Lance Woodbury suggests that furthering the family�s legacy requires a focus on the values that define the organization. Intending to encourage family members and business partners to pay close attention to their guiding principles, Woodbury offers more than two dozen values, gleaned from his years as consultant, mediator and facilitator, capturing the essence of successful family businesses in our day. 8/30/2012: The tillage team has been making great progress behind the fields of seed corn that have been harvested. 8/29/2012: Monsanto's FieldScripts coming to four Midwestern States in 2013. Read more here. 8/23/2012: Thank you to all of those who joined our Annual Appreciation Dinner this evening. We hope that you enjoyed the food and friendship. 8/23/2012: Seedcorn harvest has begun! As a reminder, harvest time means increased machinery traffic on our Hoosier Roadways. Please be cautious. 8/15/2012: INDIANAPOLIS Wednesday, Lt. 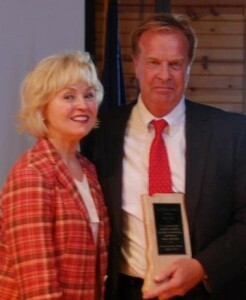 Governor Becky Skillman presented the 2012 AgriVision Award to Kip Tom, managing member of Tom Farms, at the Celebration of Agriculture event in the Normandy Barn at the Indiana State Fair. The award, now in its sixth year, is given to a Hoosier who has demonstrated exemplary leadership to maximize the potential of Indiana agriculture. "Barns, Exhibits Lifeblood of Fair" - An exert from the Times-Union Staff Writer Daniel Riordan featuring Kassi Rowland of Tom Farms. USDA FSA News Release: 36 Indiana Counties Designated as Primary Natural Disaster Areas - FSA Stands Ready to Assist Hoosier Farmers. 7/7/2012: Fair Week has begun! Good luck to all members of 4-H! 6/25/2012: Seed Corn Detasseling set to begin this week and will continue to run throughout the middle of July. 6/26/2012: Indiana farmer likes to ask "What if?" Read the full story with audio here. 6/15/2012: www.TomFarms.com is now mobile! Keep up to date with us using your smart phone. 6/1/2012: Congo Governor Visits Kosciusko County Farms - Congo Governor Kabasu Babu Katulondi visited several Kosciusko County farms Thursday to learn about local farm operations and how the methods can be applied to his country. Governor Kabasu visited Eagle Creek Farms, Fred Beer Dairy Farms and Tom Farms. 5/31/2012: www.FarmProgress.com - A farmer's view of "dangerous chemicals"
The Tom Farms Team is looking forward to joining the community at the Leesburg and Milford Memorial Day Parades. We hope to see you out there! You can view the pictures here. The Tom Farms Team is looking forward to hosting ~65 Kindergartners! During the farm tour on May 9th, they will learn about agriculture, where food and produce come from, farming, cattle and much more. "Indiana Farmer Defends Next Gen Herbicide Crop System" by Kip Tom as Interviewed by Hoosier Ag Today. Read the full article here. 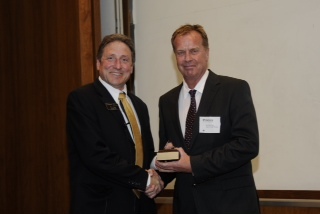 Kip Tom awarded Purdue University APEX Award. This award is presented by the Department of Agricultural Economics and is in recognition of those individuals with a strong connection to the Department of Agricultural Economics who have made outstanding contributions in their fields. The APEX Award represents the convergence of accomplishment in the lives of our honorees. Our own Kassi Rowland will be on site working with 4th graders, Discovering Agriculture in Kosciusko Co.! Beginning in April, 2012 Tom Farms will be displaying numerous billboards highlighting roadway safety. The purpose is to keep our community safe during this coming planting season. You can view a Public Roadway Safety Tip Pamplet Here. Read the new Tom Farms Spring Newsletter here. 9/9/2010: Watch the 2010 BASF publication featuring Kip Tom here. Tom Farms Second Annual Landlord Appreciation Dinner was a success! Thank you to all of the staff and their hard work and dedication to making everything come together. We would also like to thank all of those that attended the event. We really appreciate all that you do for us and look forward to a long lasting relationship with you and your families!